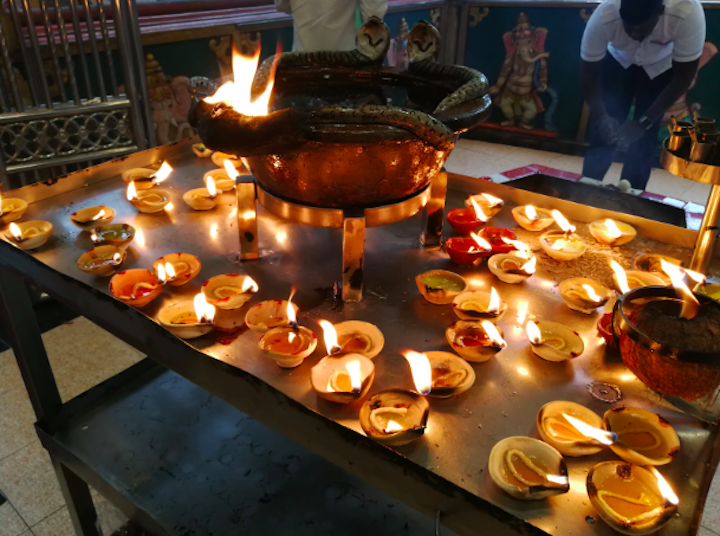 Nik Iskandar, Remote Year's Experience Manager in Kuala Lumpur, shares his local perspective on how Diwali is celebrated in his hometown. Nik Iskandar is a Remote Year Experience Manager in Kuala Lumpur, Malaysia. Experience Managers curate unique, local Tracks™ events and provide local tips to Remotes (Remote Year participants). Nik was born in Kuala Lumpur, but has studied and traveled abroad extensively. In this piece, he shares his local perspective on how Diwali is celebrated in his hometown. This week, over one billion Hindu devotees worldwide are celebrating Diwali, also known as Deepavali or the “Festival of Lights”. The name Diwali, derived from Sanskrit, literally means a “series of lights” and symbolizes the spiritual victory of light over darkness, good over evil and knowledge over ignorance. This five-day celebration coincides with the Hindu New Year and represents the biggest and most important Hindu and Indian holiday. The climax of Diwali occurs on the 3rd day and new moon, the darkest day of the Hindu solar calendar. Today, the global importance of Diwali is evident as it is recognized not only as a religious holiday, but as a national holiday in India and countries with large Indian and Hindu diasporas, such as Malaysia, Singapore, Myanmar, Nepal, Sri Lanka, Fiji, Guyana, Mauritius, Suriname, and Trinidad and Tobago. This festival originated in ancient India and is mentioned in Sanskrit texts as early as 1 A.D. The origin and religious significance of the holiday has been widely debated and varies significantly by region in India. Each region recalls different legends and associates Diwali with different deities, traditions, and symbolism. However, over time, the diverse local variations and autumn harvest festivals celebrated by Hindus, Jains, Sikhs, and Newar Buddhists fused into one pan-Hindu festival with a shared spiritual significance that still retains local traditions. While the history and interpretation may differ by region, the five-day celebration and rituals bear many similarities. 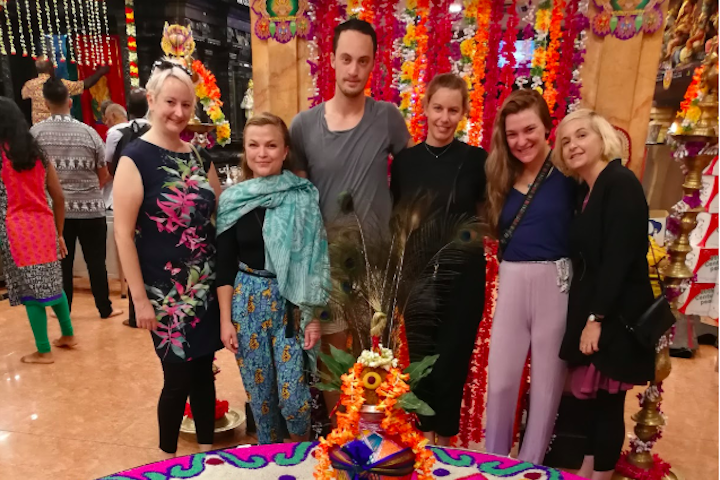 How Is Diwali Celebrated in Kuala Lumpur? As one of the most multicultural countries in the world, Malaysia has the honor of celebrating the many holidays and traditions of its diverse population of Malays, Chinese, Indians, and indigenous peoples. Unlike many other countries that “adopt” other holidays and merge it with their own traditions, Malaysians have retained the Indian traditions of Diwali, such as cleaning and decorating our homes, lighting lamps and fireworks, visiting loved ones, and sharing gifts and sweets. Every month, Malaysia welcomes Remote Year participants into Kuala Lumpur and proudly shows off the multicultural threads that make up the fabric of this incredibly diverse nation. 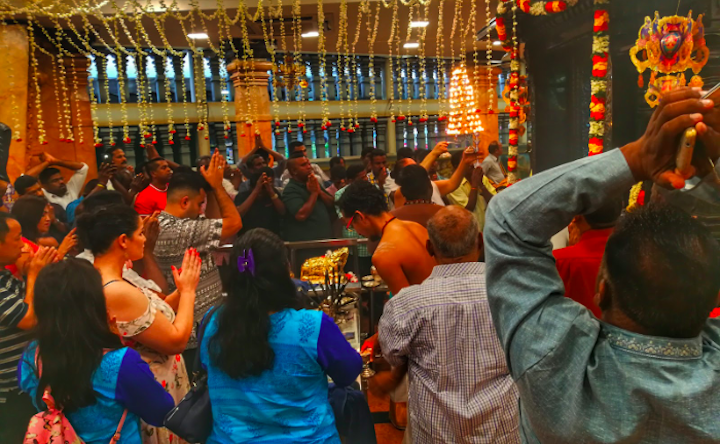 Yet, there is no more powerful way to understand this than by celebrating one of the cultural traditions that, while Indian, have become just as Malaysian as Chinese New Year. 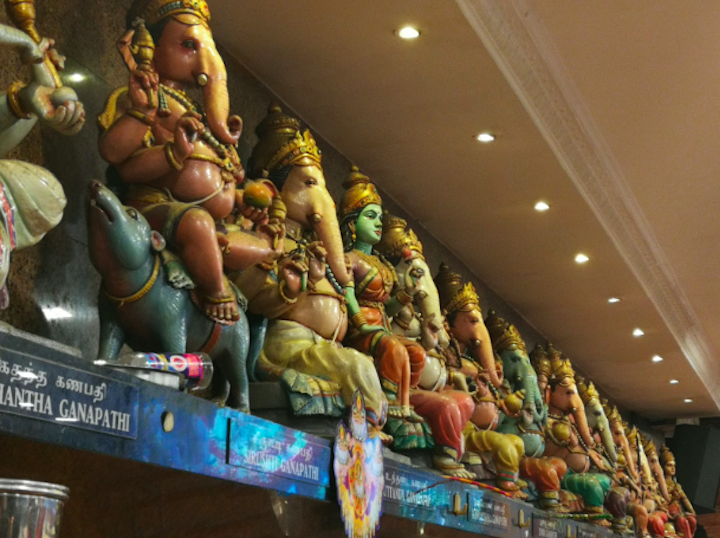 This year, as Remote Year Atlas descended upon Kuala Lumpur, they were greeted by fireworks going off all around the city, by giant “kolams”, or lanterns, adorning the streets and malls, and were able to join in a special Diwali prayer ceremony led by monks at the Court Hill Ganesha Temple. Traveling on a 4- or 12-month Remote Year program comes with many moments of light and darkness, twists and turns. We don’t have one home, we have many “homes”. We aren’t always traveling with loved ones, but we acquire new ones on the road. We introduce our traditions to the world and adopt some as our own. And, similar to how over a billion Hindus and Indians pull out lamps to ward off darkness and evil during Diwali, Remote Year is all about finding our inner light and finding ways to let that light keep winning over darkness. As these fireworks light up the sky all over Kuala Lumpur, we think we’re doing just that.